Hi! 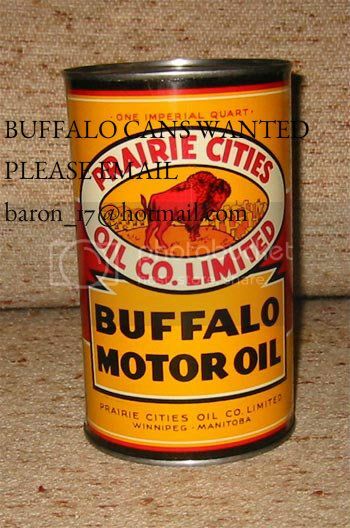 I am looking for any old Buffalo, Prairie City Oil Co or Prairie Cities Oil Co oil cans, grease cans or signs. Will look at any reasonably priced items in good condition. Will pay top price for top condition. Here are examples of a few of the ones I have found so far. Thanks for you help! 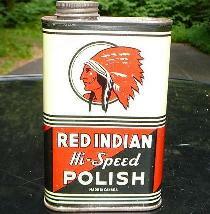 Very mint condition, that's a killer quart; in any condition! will pay top dollar for this quart or a finders fee leading to the purchase of this quart. Thanks! Last edited by canadianoilguy; Tue Oct 30 2012 03:43 PM. Thanks for the replies! I also have cans to trade for buffalo. Thanks! thanks again for the help guys! I have some new canadian cans listed on my website for trading and will have more posted later this week.... of course will always purchase some too! haha. I have lots of cans to trade for buffalo. And of course always looking to buy too. would really appreciate any leads too. Thanks for your help! 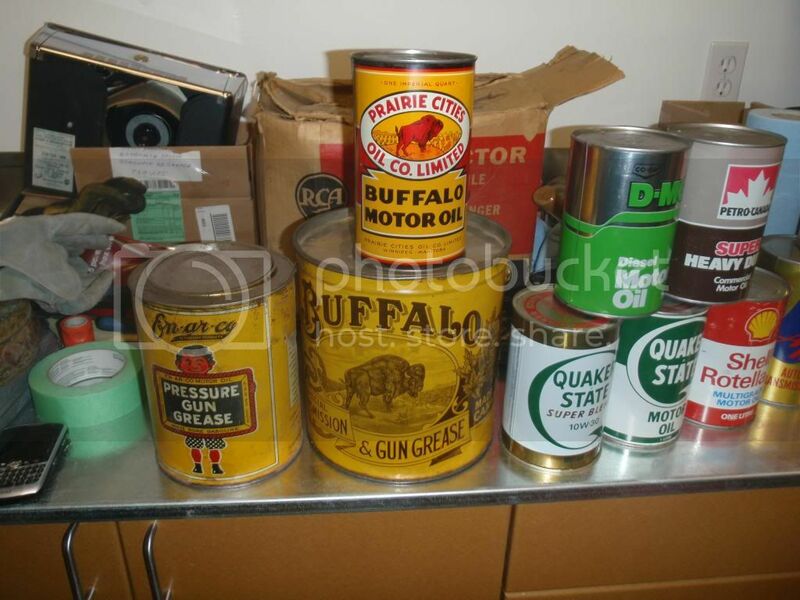 looking for any Buffalo cans in decent condition. Thanks again! Get ahold of Louis !!!!!!!!!!!!! !